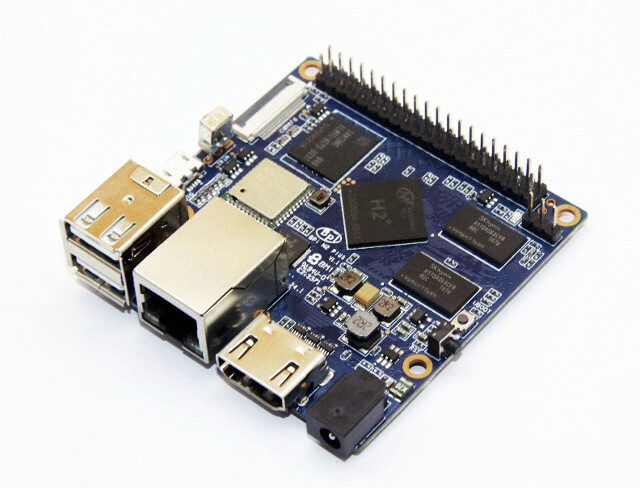 Banana Pi BPI M2+ board was first released with Allwinner H3 processor, but the same PCB can also be used with Allwinner H2+ and H5 processors since the processors are pin-to-pin compatible, and SinoVoIP intends to release three version of the board, and just launched BPI M2+ (aka BPI H2+) with Allwinner H2+ processor for $34.50 + shipping, $1.5 cheaper than the H3 version also listed on Aliexpress. If you shop around, and don’t order on the official SinoVoIP store, you may find cheaper price for the boards. The processors are not that different either, with Allwinner H3 supporting 4K video decoding and output up to 30 Hz, while H2+ is limited to 1080p60. The rest of the features look exactly the same. 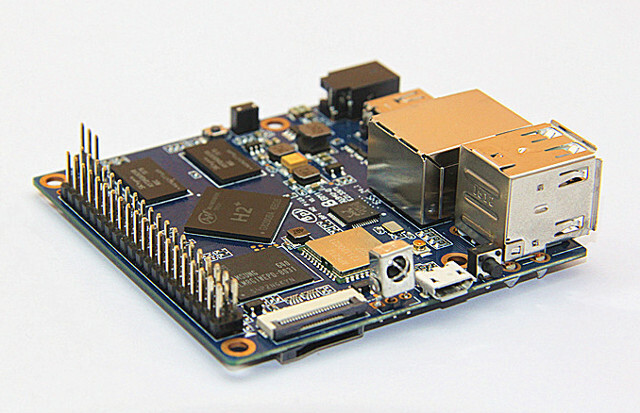 The company’s BPI M2+ page is all about the H3 version but most parts should be identical for the new boards. Supported operating systems include Android 4.4, Ubuntu 16.04 (Mate), Kano, Raspbian, Debian 8 and more according to the Download page, but none of them are likely to be working perfectly, and I’m not 100% sure they are working on the new H2+ board since they were all released last year, except Android 4.4 (Jan 2017). It might just be a case of updating the Device Tree (DTB) file however. [Update: I forgot the images are based on an ancient Linux 3.4 kernel, so not device tree here]. If the H2+ variant really provides Gigabit Ethernet I don’t believe in any differences between H2+ and H3 any more. BTW: None of those vendor images use DT anyway. It’s still fex there and we know of zero adoptions necessary to switch H3 with H2+. You can run any BPi M2+ image on this BPi H2+ thingie as you can run any NanoPi NEO image (H3) on an OPi Zero (H2+) and vice versa. This will only change with the H5 variant due to different CPU cores there. BTW: if the PCB is identical then this would confirm that H2+ also contains a Gigabit Ethernet MAC or otherwise none of the existing OS images would have any Ethernet connectivity at all. I thought the difference was in the VPU: the H3 can handle 4K but the H2+ is limited to 1080p. You want to tell us that h2+ can be made playing 4k? No idea (I’m not that much into video/display stuff anyway). At least that’s one of the variants discussed today in linux-sunxi IRC: a software quirk limiting memory reservations based on chipid so that H2+ chips aren’t able to handle more than 1080p. What puzzles me a bit more is H2+ being said to lack Gigabit Ethernet capabilities so how is it possible to replace H3 with H2+ on a GbE equipped board (if they would use H2+/H3 internal Fast Ethernet PHY they would’ve to reroute the PCB — I don’t know whether it’s also possible to connect the external RTL8211E Gbit Ethernet PHY to H2+ via (RG)MII but if that’s possible the BPi H2+ would be a board that negotiates Gigabit Ethernet to the outside while being limited to Fast Ethernet throughput). Weird.